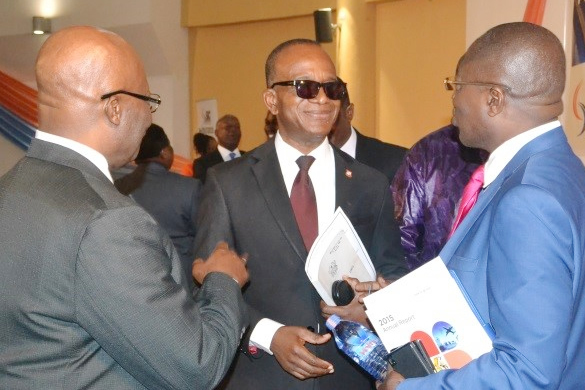 SIC Insurance Company Limited, Ghana’s preferred and largest General Insurance Company has announced a 20 percent increment in the dividend to be paid to shareholders. At the just ended 9th Annual General Meeting, the Board proposed a dividend per share of GHS0.0214 bring a total payout of GHS4,178, 977.20 in respect of the year ended 31stDecember, 2015. This according to the Board Chairman, Mr. Mike Allen Hammah is a 20% increase in the amount last paid as dividend of GHS0.0177 in 2012. He said this was achieved on the background of improved efficiency as the company took measures to strengthen its internal control systems within the new Enterprise Risk Management culture which has now become a critical responsibility of the Board. The Chairman added that Gross Premiums Written grew by 25.9% in 2015 to GHS145,725,323 from GHS115,702,732 in 2014, while Net Premium Income recorded a 14.5% growth in 2015 to GHS84,288,263 from GHS73,581,917 in 2014. Claims incurred showed a growth of about 22.8% from GHS32.34m in 2014 to GHS39.74m in 2015. The unfortunate June 3 2015 floods and fire incident is the major component of the 22.8% increment in claims paid over that of year 2014. Profit before tax increased from a loss position of GHS9, 225,264 in 2014 to GHS12,138,284 in 2015 representing a 231.5% increase in profit. Profit after tax increased by 214.39% resulting in 8.5% increase in Shareholders’ funds.